As an author, I can say that I would not be where I am today without reading. Writers of all shapes and forms must become good readers. In fact, it is one of only two ways to get better at writing (the other being practice). While I think it is important to read anything you can get your hands on, there is also something to be said about reading books about writing. These books are sure to make you think critically about your work, and will likely cause huge improvements to even your first draft. Any piece of writing contains three elements: a purpose, grammar, and style. While the purpose is personal to each of us (“to inform people about great writing books” is this article’s), grammar and style are universal, with a few exceptions. Strunk and White tackle both of these in what many consider to be the essential guide to precision writing. You will no longer wonder when it is appropriate to use a semicolon or how to craft an idiom after reading this book, and that alone should be enough to make you buy it. Looking to write about sports, become an art critic, or conduct an interview? Zinsser is the most popular author when it comes to nonfiction guides. You will quickly learn all the conventions to these niche fields, and your work will look more professional for it. In the world of blogs and social media, it can be easy to fall into a trap of writing however we like. Yet, certain forms do matter, and it is particularly important to read through this book if you plan on applying for a job involving any niche nonfiction writing. Yes, the name of Stephen King’s writing guide is very similar to Zinsser’s, but the books contain completely different information. We all know King as the, well, King of Horror, but he is great at giving advice to new writers as well. Throughout this book, you will learn about King’s journey to success, as well as tidbits about the industry and how to navigate it. One thing to note, though, is that this book is not a “how to write a novel” book, and it is much better off for it. After reading Strunk and White, Zinsser, and maybe even King, you might want a book that is more relaxed, but still informative. Anne Lamott manages to inject humor into the struggle of writing, which provides some welcome relief from the mundane. One of her chapters talks about the reality of first drafts, let’s say, belonging in the toilet. Truth is, if King’s book isn’t your favorite guide, Lamott’s will be. Although writers should read works of all kinds, and especially in their genre, it is also important to become familiar with conventions of writing through guides by real authors. 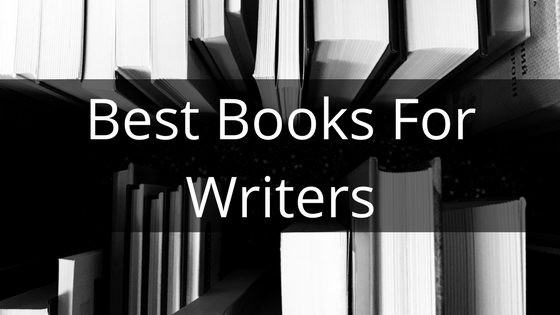 These books may not always be the most interesting out there, but you will learn some powerful information, and your writing will improve quickly. Now, before you start your next novel, grab these books and read your heart out.